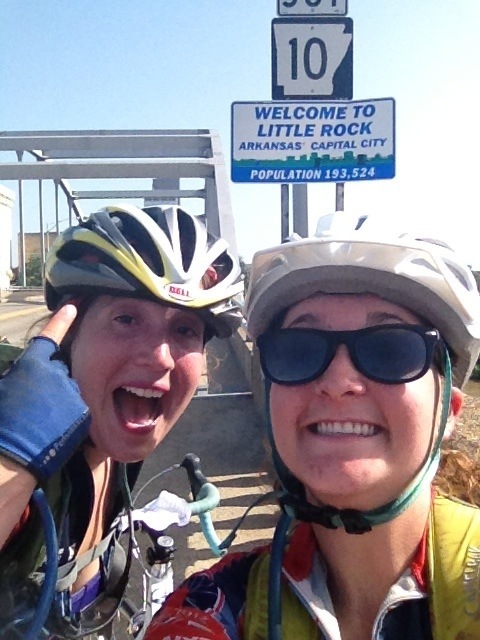 Day 25: We crossed into Arkansas today! But I’m not thrilled with this state so far. In the morning, we hashed out a plan for taking the I-55 bridge over the Mississippi River. Bikers are not actually supposed to ride on interstates because it is, obviously, extremely dangerous. We grouped together as a team at the bottom of the bridge with our van rolling behind us. As soon as we made it up to the footpath, we got off our bikes and walked across it. 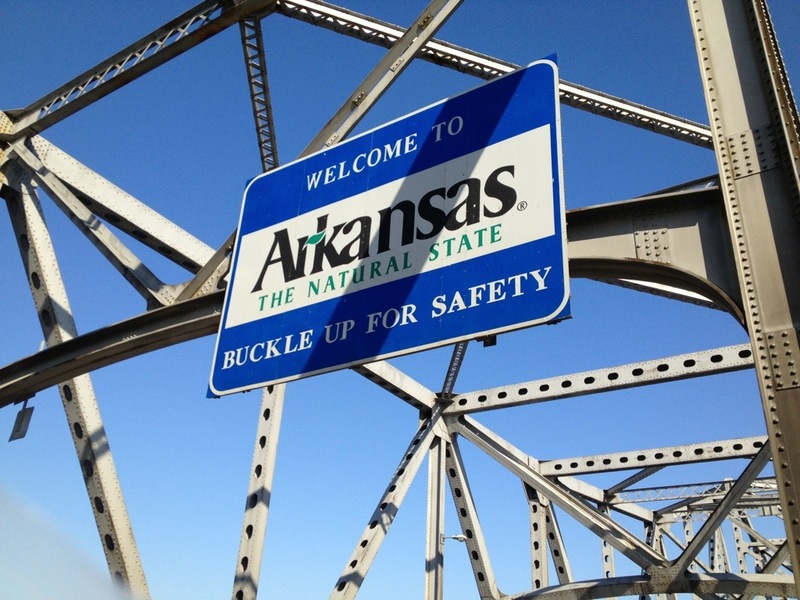 It was a prime photo opportunity as we crossed into a new state! We could also see the Memphis skyline! We got off the bridge and carefully biked on the shoulder of the road to the first exit we came to. 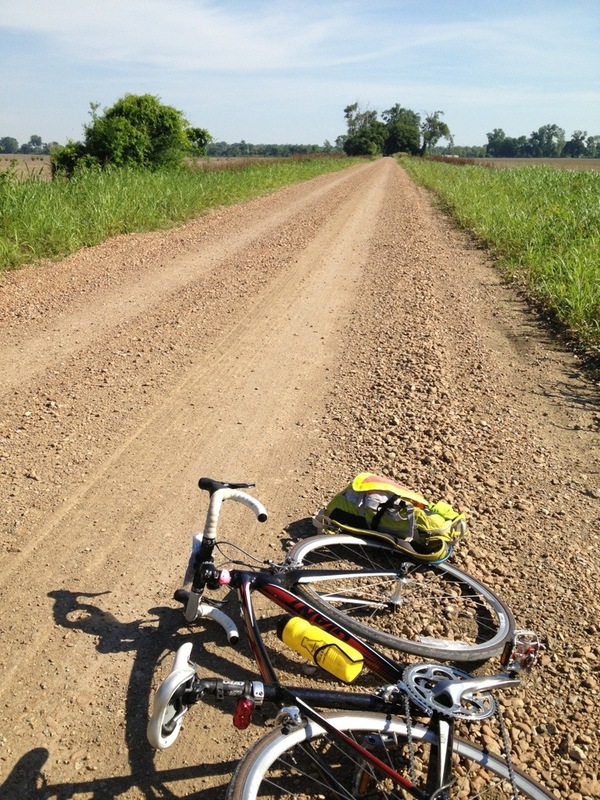 Unfortunately, our queue sheet took us to a gravel road, which are pretty terrible for road bikes. 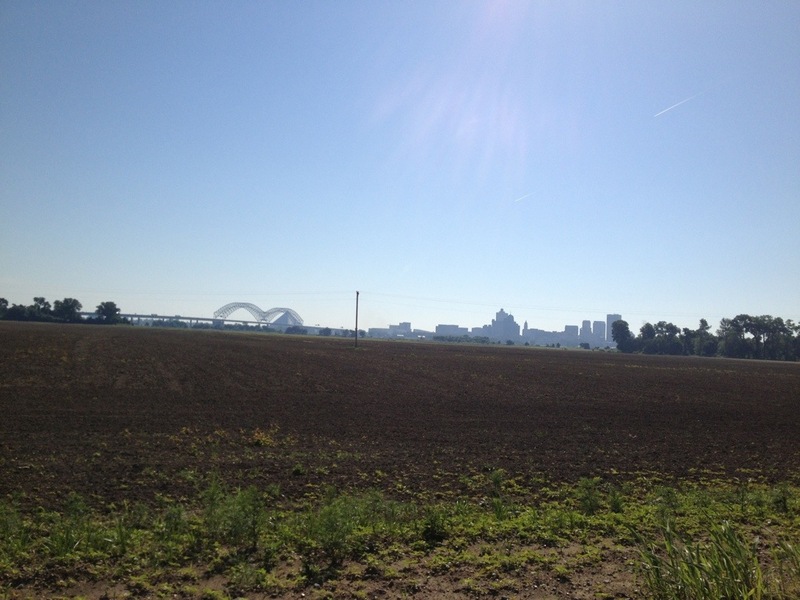 We were able to get one more glimpse of Memphis from the gravel road. I was taking my time, trying not to pop a tire and get a flat, when I came up to the rest of my team who’d all stopped in the middle of the road. A couple of our leaders had rode ahead and discovered that the road was flooded in about 2-3 feet of water. So continuing on this road was out of the question. We needed to turn around and figure out a new game plan. We rode back the 3 miles that we had already traveled and waited for everyone at the end of the road. While we were waiting, we decided to keep each other entertained by playing a giant game of rock-paper-scissors. Everyone partnered up, played one round, and if you won you found another person to play, while the loser had to be your cheerleader. By the end, there were two people playing each other, and each had a cheer leading squad. Dietlinde won, so we raised her up in victory. We’ve learned to make our own fun. When everyone was finally together, the solution was to hop back on the interstate til we got to the next exit. Again, this is totally illegal so we were strategizing the best way to get all of us there safely. 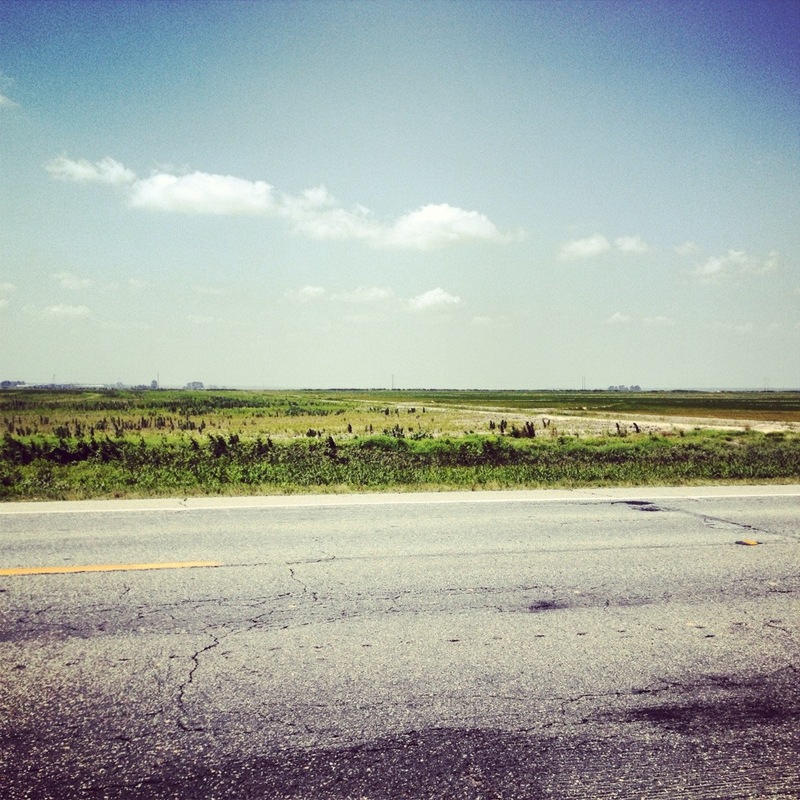 We got on I-55, only to realize it was much farther to the next exit than we thought. 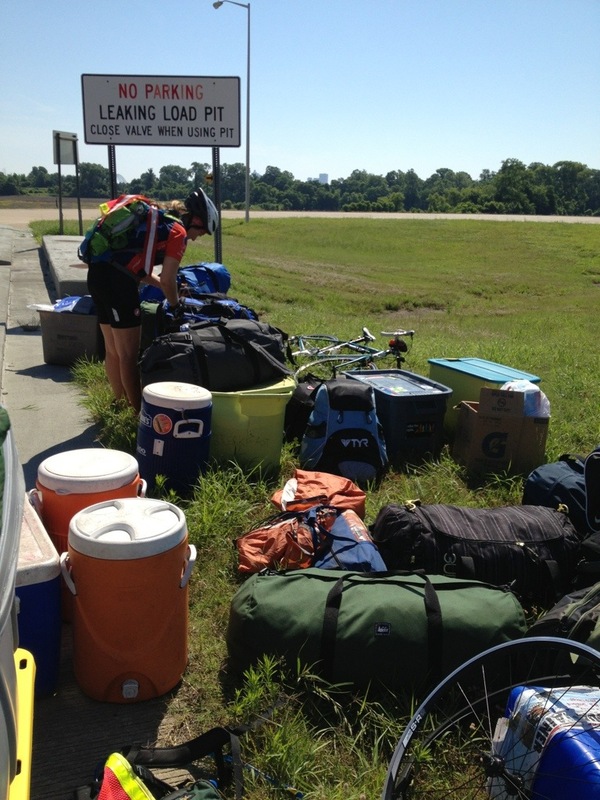 Our leader Erin, aka Motherbird, made an executive decision to have everyone pull off at a truck weigh station, pack all the bikes into the trailer, and shuttle everyone over to the next exit in the van. It was just way too unsafe to have 27 bikes riding on the shoulder of the interstate. This meant we had to unpack all of our bins and bags from the trailer, pack up our bikes, and take three shuttles to the next exit. By about 11:30, we’d only made it 10 miles into our trip. It was going to be a long day. 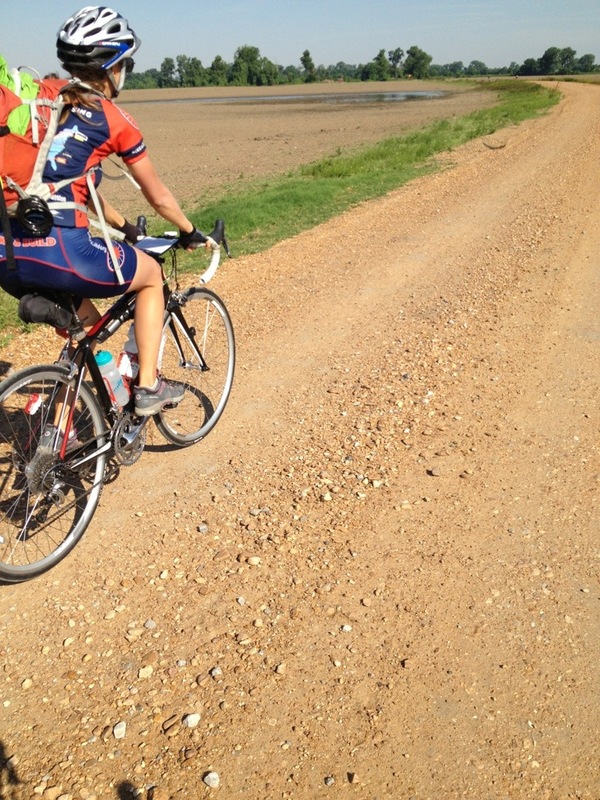 We decided to take a lunch after 10 more miles, and then ride it out for the rest of the day to Forrest City, AR. 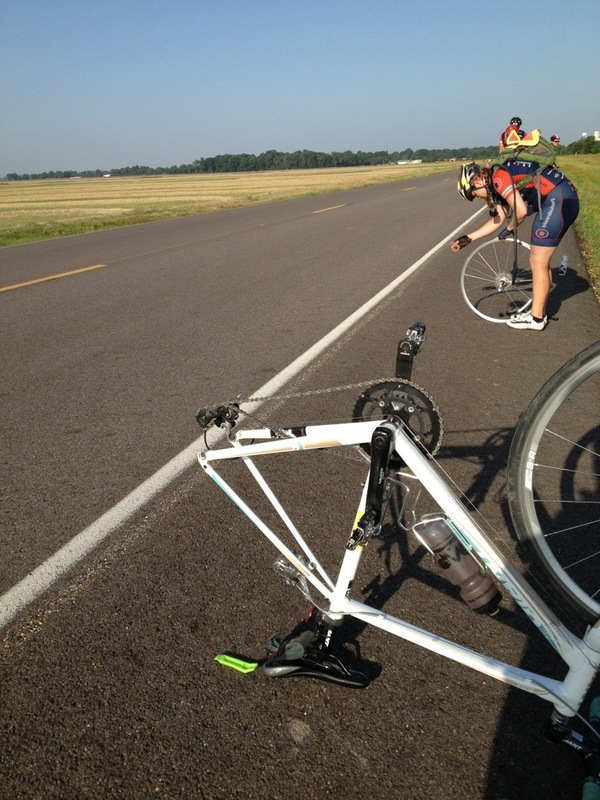 It was during the second half of the day when we realized what riding in Arkansas would be like: hot, flat, windy, and boring. At the end of the day, most of us agreed that even though this was not our most physically demanding day so far, it had definitely been our most mentally challenging. The flat terrain, the fact that you could see the road for miles ahead and feel like you were not making any progress, and the sun beating down on you all added up to a miserable day overall. We sang songs with one another to pass the time and keep our sanity. 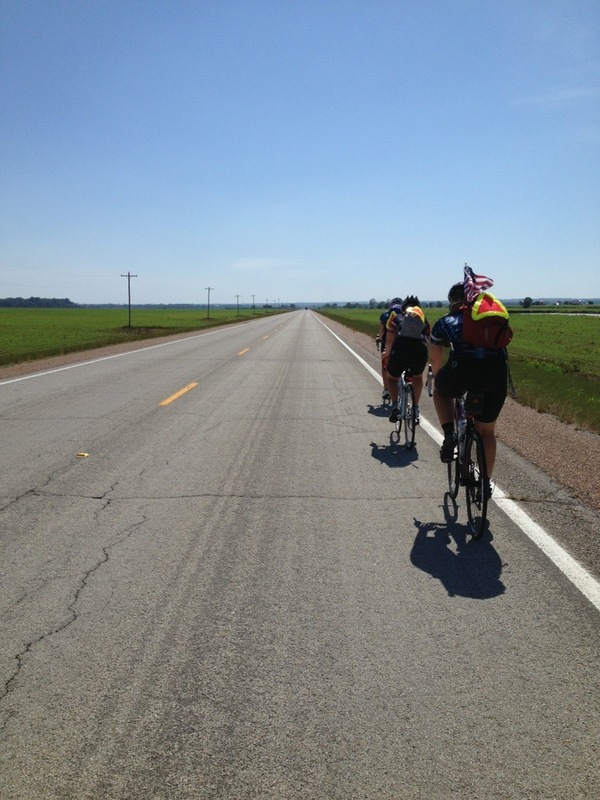 Toward the end of the very flat ride, there were rolling hills for the last few miles. I’ve never been so happy to ride on hills! A simple terrain change-up makes all the difference when it comes to changing your attitude on the bike. Forrest City treated us wonderfully! A delicious lasagna and salad dinner put an end to our otherwise miserable day. Day 26: Earliest wake up time yet: 4:00am. Wommmppp. It was gonna be a hot, humid day for our first CENTURY ride. The worst part about waking up so early was walking outside to put my bin in the trailer and being overwhelmed by the heat and humidity at freaking 4am!!! We were trying to wake up earlier to sneak in an extra hour of riding in cooler temperatures in the morning, but our attempt had clearly failed. The morning ride was good! 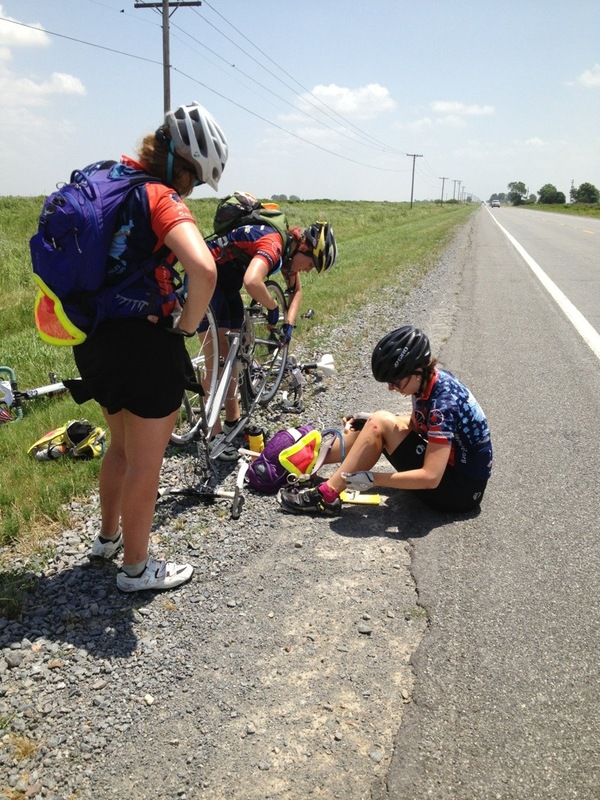 Amelia got a flat so we had to stop for a bit, but at one point we were riding 14 people deep! Totally not something we could do normally, but at 6:30 in the morning on a country road, it was relatively safe. And the drafting was AWESOME. You just got sucked up into the group and didn’t have to work hard at all! The afternoon ride was initially smooth riding. I rode with the same Dream Team that I rode into Charlotte with: Sarah, Meegan, Amelia and I. I really enjoy this group because we keep each other’s spirits high and we always stay positive! It’s amazing how much your attitude affects your day. We encourage each other, joke around, and sing songs together! Something that I really love about this trip is the fact that we’re a team, and that we’re all in this together. I missed the feeling of being a leader on a team back in my soccer days, but this trip is filling that void. For the rest of the afternoon, I pulled my teammates through strong headwinds (“pulled” means I rode in front, taking on the headwinds and allowing my teammates to draft off of me so they have to do less work). The fact that I was making the day easier for my teammates made me so happy! It was my favorite part of the day. My least favorite parts of the day were when Amelia got another flat and THEN a few miles later Sarah tapped my back tire with her front tire and took a nasty spill. She had scraps and bruises but nothing that would keep her out long term. She did end up calling it a day and hopping in the van around mile 78 (she fell at mile 60). She’s a trooper! I spent miles 60-101 riding only with Amelia. It was a hard but great afternoon! We were grateful for any shade given to us by the very few trees in the area. If we saw a clump of trees in the distance, we’d start chanting “TREES. TREES. TREES…” to the tune of “shots” by LMFAO. At the end of the day, about 2 miles out from our destination, the “where there’s a host there’s a hill” rule came like a slap in the face. We got to a road called River Mountain Road, and if we’ve learned anything about roads with the word Mountain in the name, it means you’re screwed. We put it into granny gear and climbed up up up. 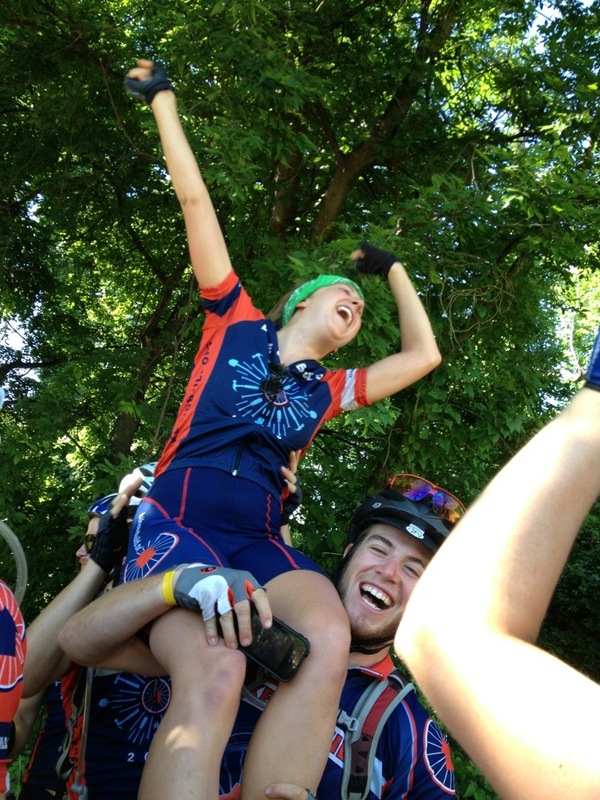 When we arrived, our teammates greeted us with hugs and congratulations on completing the ride. The church we were staying at was like a mountain cabin, and it was exciting to know we’d be spending two nights there, with a build day the next day! This entry was posted in On the road! on June 12, 2013 by murphykg. As always, amazing! And I must admit, I think your grandmother and I are just a teensy bit jealous of your youth and energy. 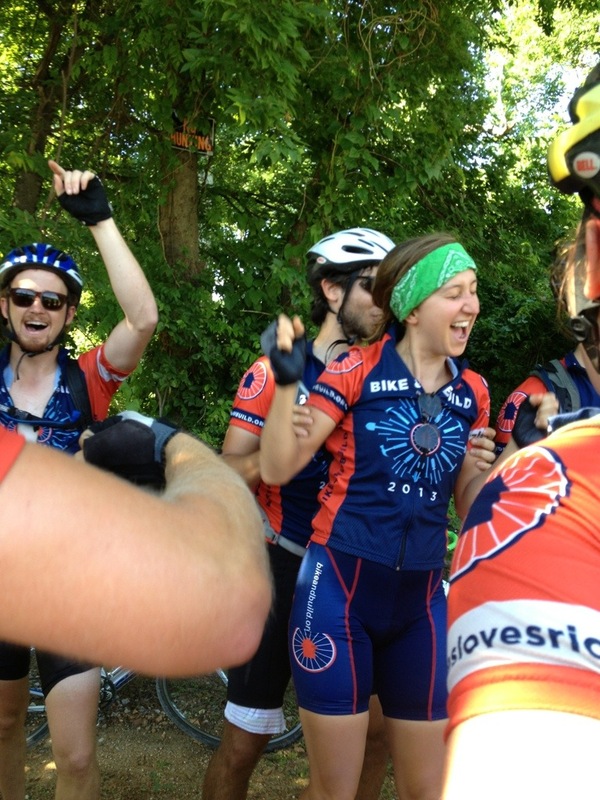 We are so grateful you are keeping healthy, and are able to physically endure these long days of biking. Keep up the good work !